Every Wednesday night from October through March, kids in grades K-6 gather to memorize Bible verses, play games, and learn about our Savior in our Awana program. Pray for Awana by praying that all children and youth in our community and throughout the world will come to know, love, and serve the Lord Jesus Christ. 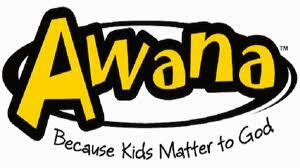 Awana meets at MBC from 7PM to 8:30PM. Email awana@mbcmi.org or phone the office for more details.